If you’re looking for a RAID Controller card, kit or accompanying cables, we’ve got the right one for you. 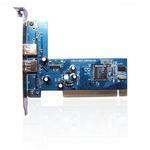 We have the top RAID Controller manufacturers like Adaptec, AMCC, Highpoint and LSI. You will be happy with whatever RAID Controller you choose for your current computer of the one that you’re building.